I can’t help myself when it comes to bread. I can turn down cupcakes and brownies, with a reasonable amount of willpower. But with bread I have no willpower. I have but one desire: a melted-butter-on-warm-bread desire. 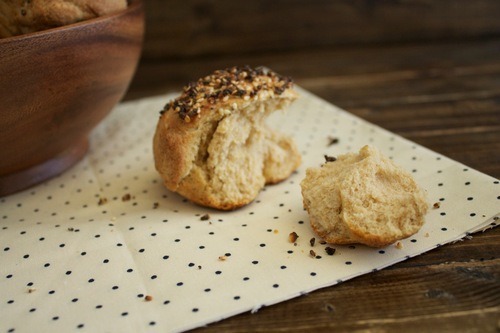 … which in this case means poppy seeds, garlic, and sesame seeds. 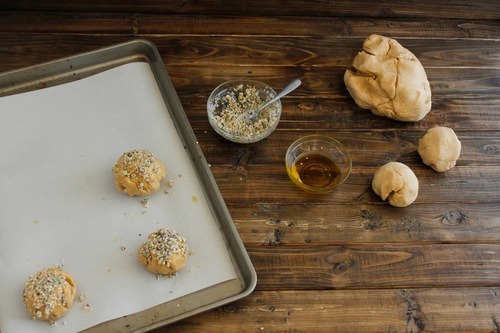 After the rolls receive a partial bath in olive oil they are covered with “everything salt” and head to the hot box. 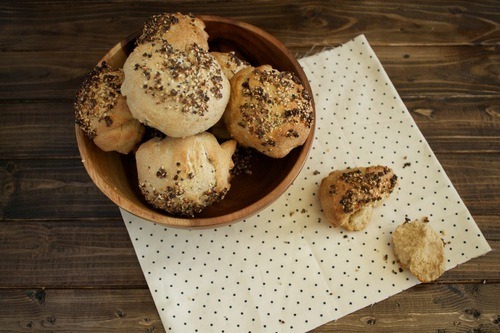 These rolls make for wonderful sandwiches. Or you could just eat them with a drizzle of fruity extra virgin olive oil. Have a joyous, carb-filled Monday! In the bowl of your stand mixer combine water, sugar, salt and sprinkle the yeast on top. Let it sit five minutes or until the yeast becomes foamy in appearance. Add flour and olive oil and mix on low speed using the dough hook attachment. Increase speed to medium and kneed for 5 minutes. Transfer dough to a greased container and cover with plastic. Place dough in a warm, dry place to rise for 1 hour. While the dough rises prepare the everything salt. 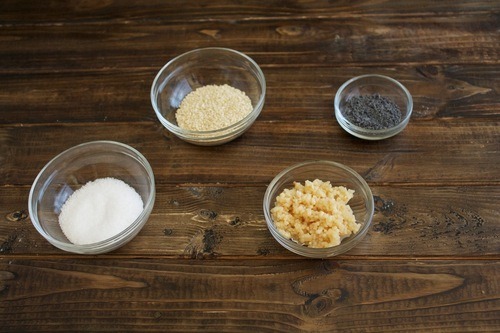 In a small bowl combine kosher salt, minced garlic, poppy seeds and sesame seeds. Mix with a fork until the ingredients are well combined, then set aside. When the dough has finished rising divide and shape into rolls. 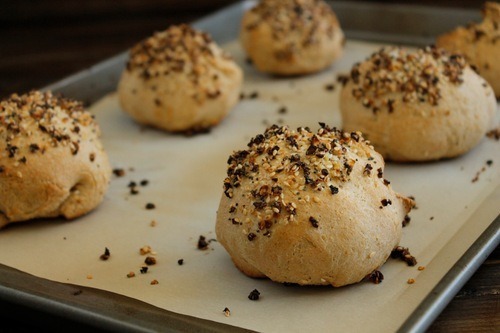 Place the rolls on a baking sheet lined with parchment and brush the tops generously with olive oil. Allow to rest 10 minutes. Distribute 1 1/2 - 2 teaspoons of everything salt over the top of each roll. Bake at 425 degrees for 10-15 minutes. Enjoy!